In this section a brief overview will be provided of all those who have played a role in Darlie’s case. It includes family members, attorneys and other legal representatives, law enforcement, investigators, witnesses and anyone whose involvement has impacted this case in some way. We added a section pertaining to the notes taken by various nurses while Darlie Routier was treated at Baylor University Medical Center. Links to the actual notes are provided and the discussion includes comparisons with testimony given by some of the nurses at the 1997 trial. Click here to read about the notes and the testimony. Added a section on the contradictions between the nurses’ testimony and the notes they took during Darlie’s stay in the hospital (includes scans of the nurses’ actual notes). Article published in the Hood County news by Kathy Cruz. “The defense calls Terry Laber”. Welcome. 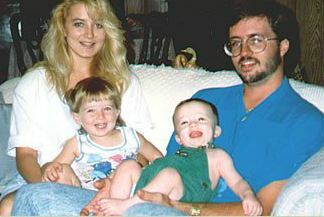 This site seeks to provide information about Darlie Routier. Darlie is on death row in Texas for a crime she has steadfastly maintained she did not commit. A growing body of evidence supports her claims of innocence. This site exists to educate the public about the facts surrounding Darlie’s case. It aims to dispel myths, rumors, and misinformation. Additionally, we provide a means of advocating for and speaking out on behalf of Darlie.